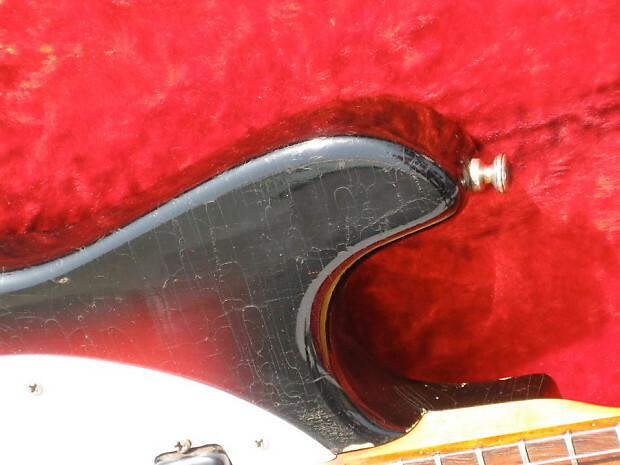 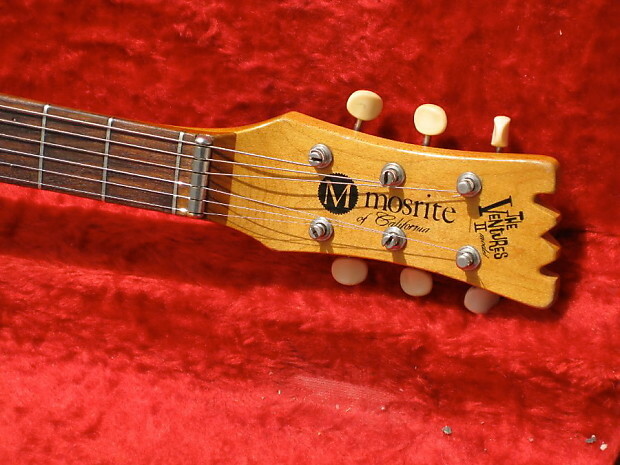 For sale is this vintage 1965 Mosrite of California The Ventures Model (Mark) II electric guitar. 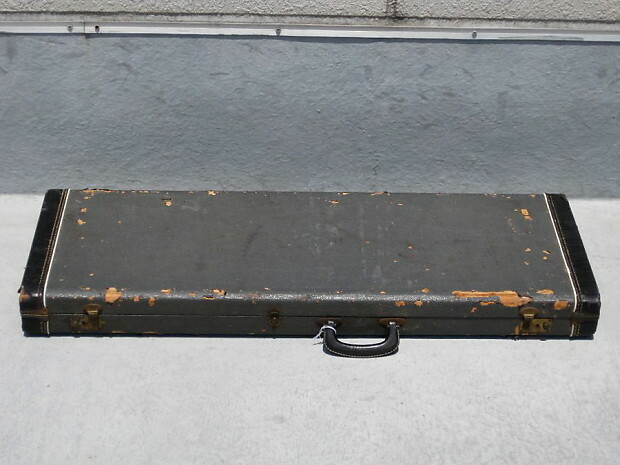 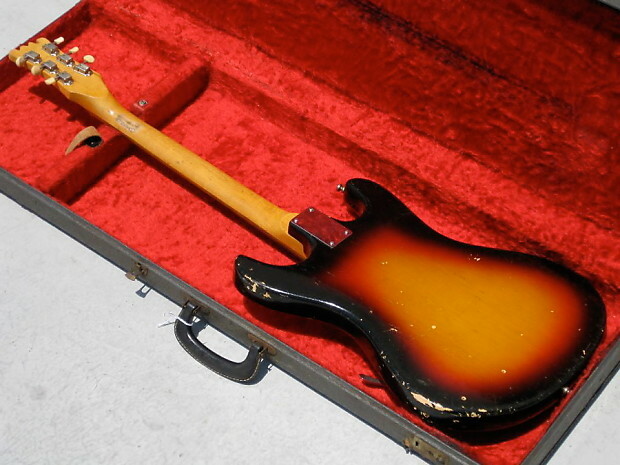 This particular example, serial number B1** , is in good well used and 100% all original condition and includes the original hard shell case! 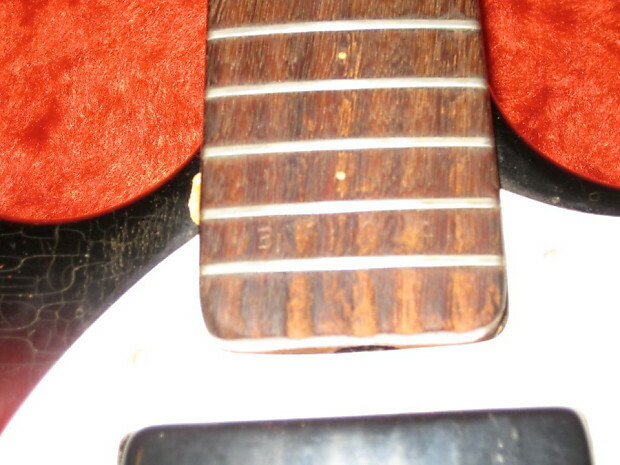 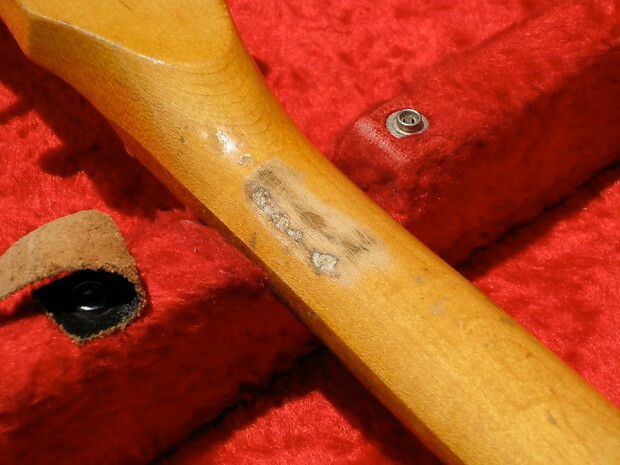 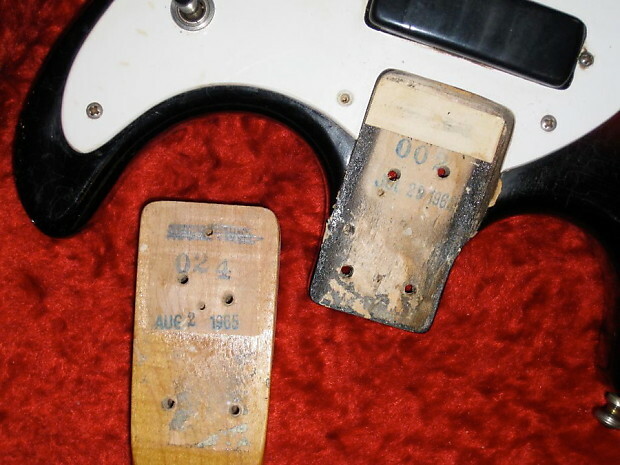 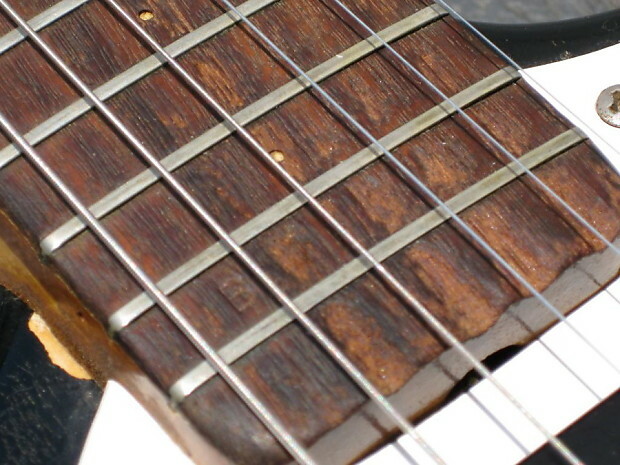 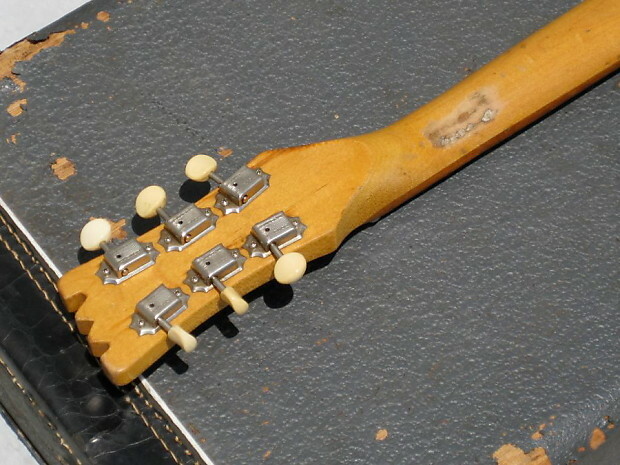 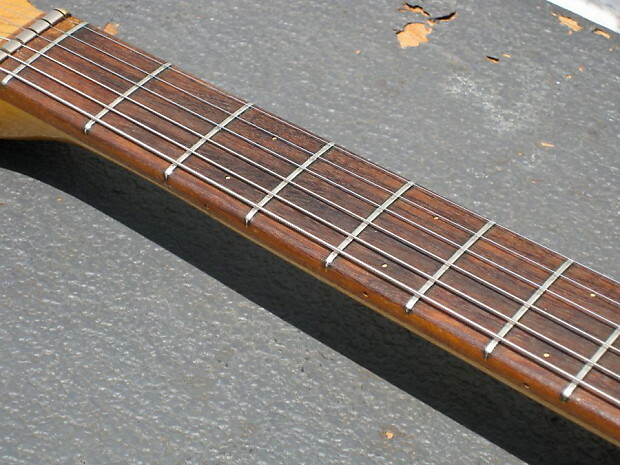 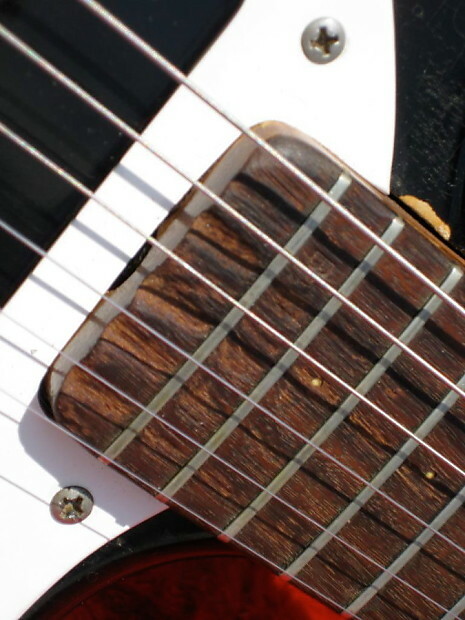 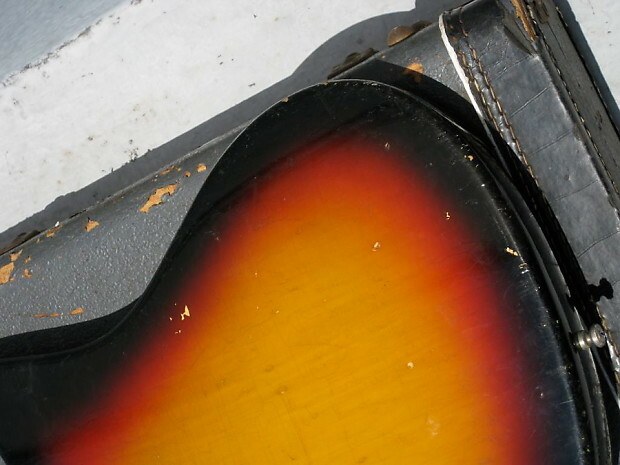 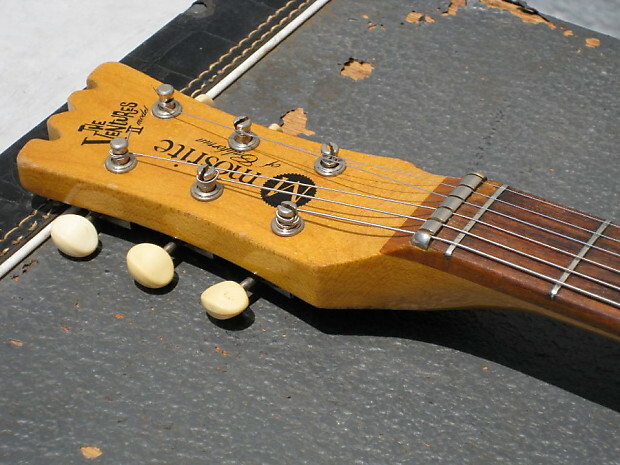 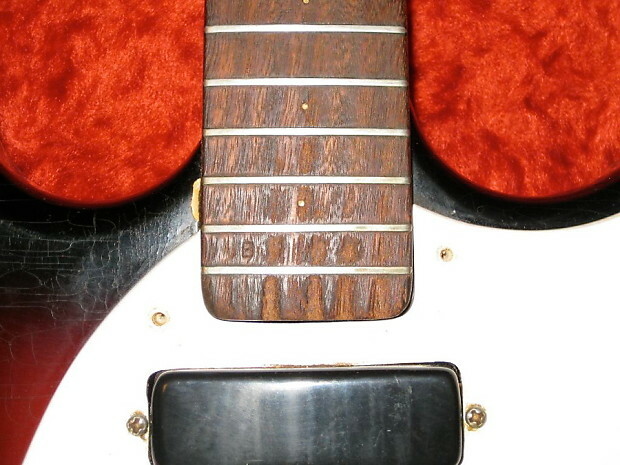 The Guitar has two replacement tuners. 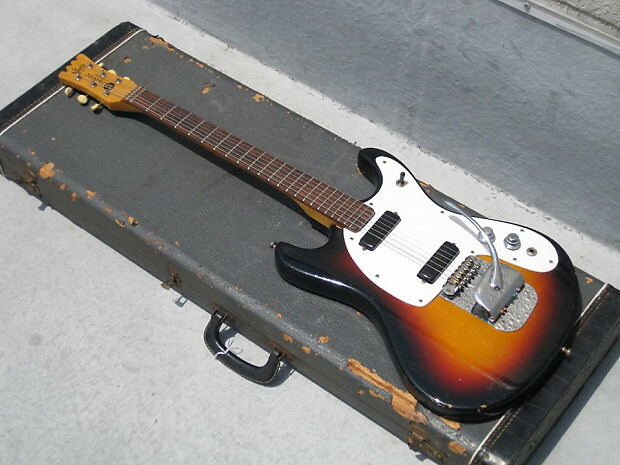 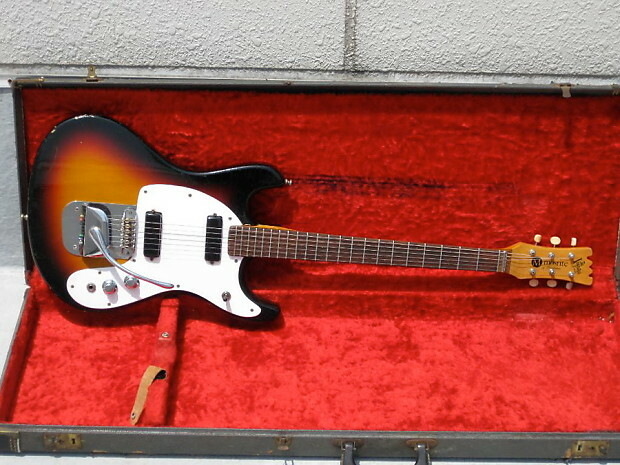 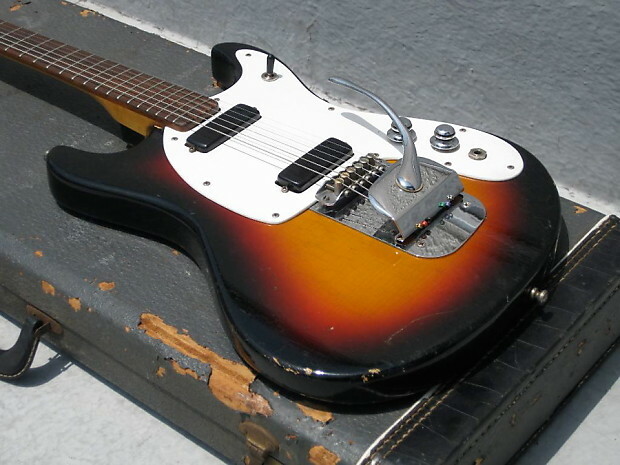 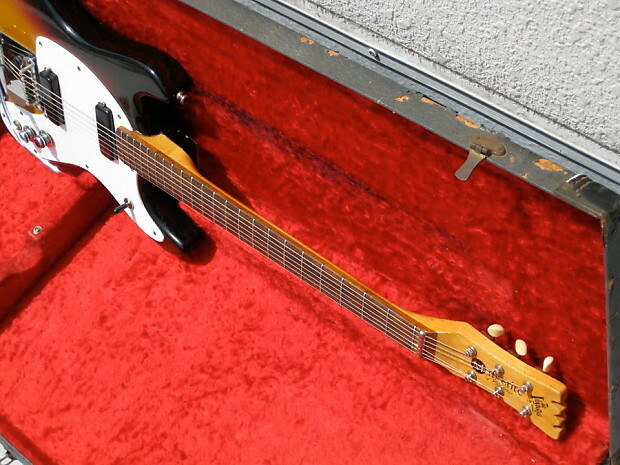 This all original ’65 Mosrite Ventures Model II features; a slab body construction with a 3-tone (black/red/yellow) sunburst finish, a bolt-on maple neck with a rosewood fingerboard, (2) original single-coil black soap bar pickups, a prototypical tremolo tailpiece design, double-line Kluson Deluxe tuning machines withe plastic buttons, a single-ply pickguard, original saucer-shaped chrome control knobs, an original 2-way selector switch with original plastic switch tip, original strap pins, all original hardware, and the original gray case with red interior. 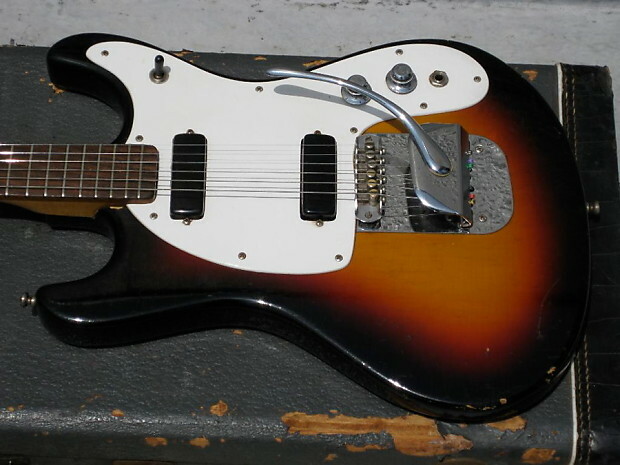 The unassuming black single-coil pickups are so unbelievably amazing, with a highly musical organic tone unlike any other single-coil pickup, this Mosrite sounds better than a Strat, a Tele, a Les Paul Special, etc., and it’s a shame Mosrite didn’t make more because this guitar sounds better than virtually all others. 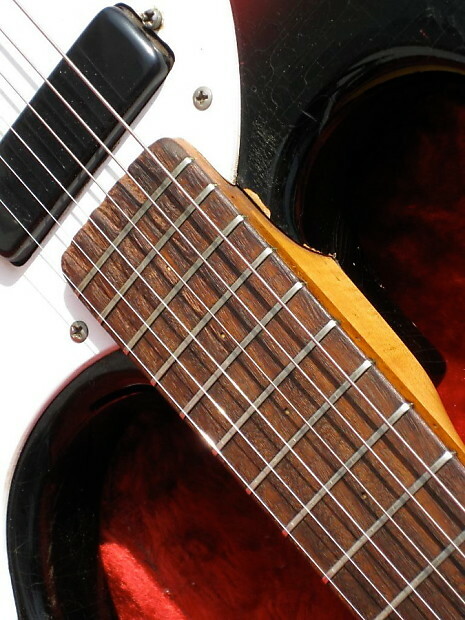 It’s confusingly great in an awe-inspiring way, and despite what some would assume, based upon it being a limited budget production, this guitar is undeniably special. 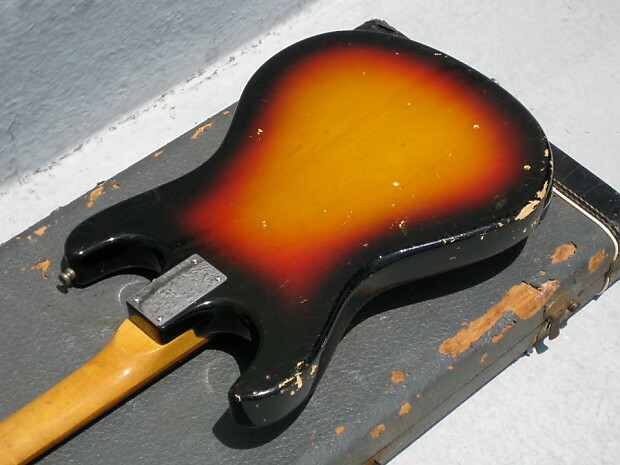 Due to the fact that this model was famously used by Johnny Ramone, as well as, produced in mythically minimal quantities, this incredibly scarce model has achieved a glorified status approaching fabled folklore. 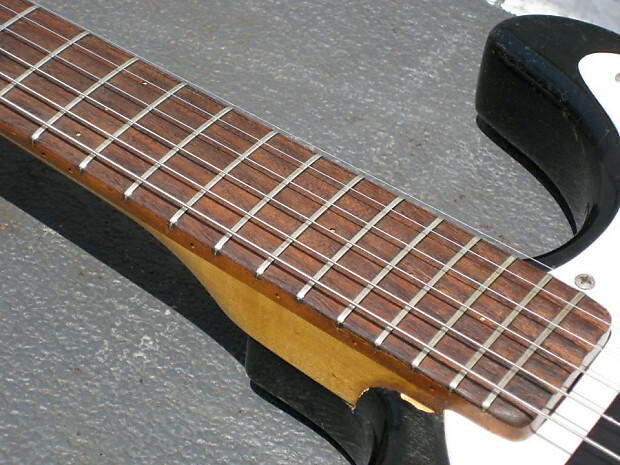 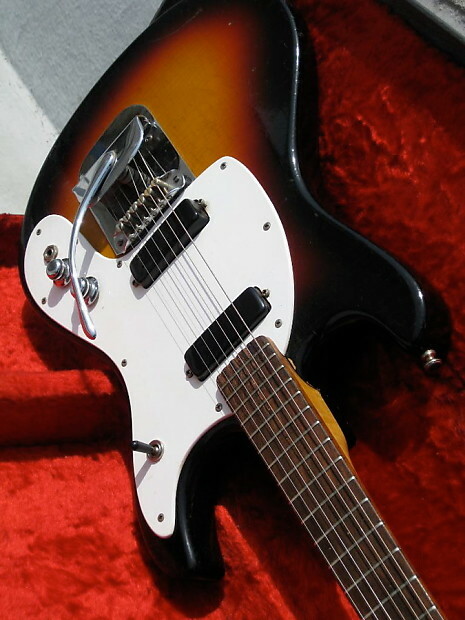 Originally intended to be Semie Moseley’s answer (the original concept for which was actually storied to be the brainchild of Semie’s brother Andy) to other manufacturer’s budget/student models, the simple slab body design failed to live up to Semie’s expectations, which resulted in a seemingly immediate halt to production. 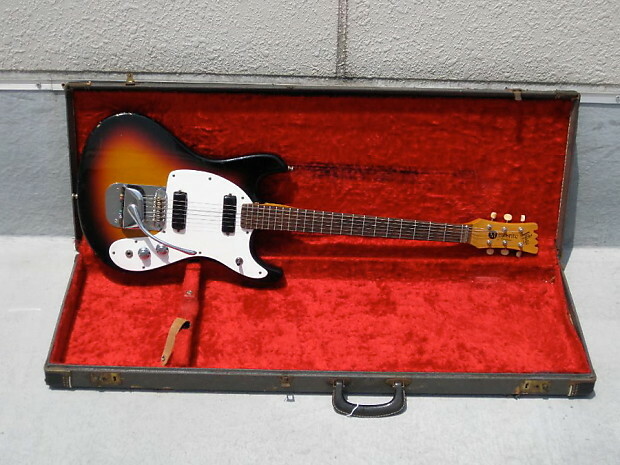 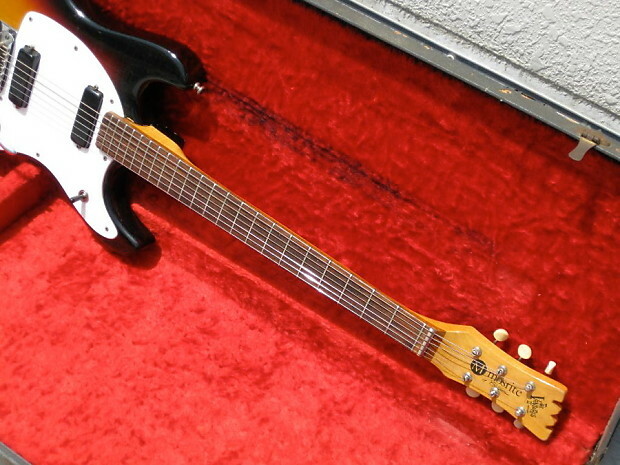 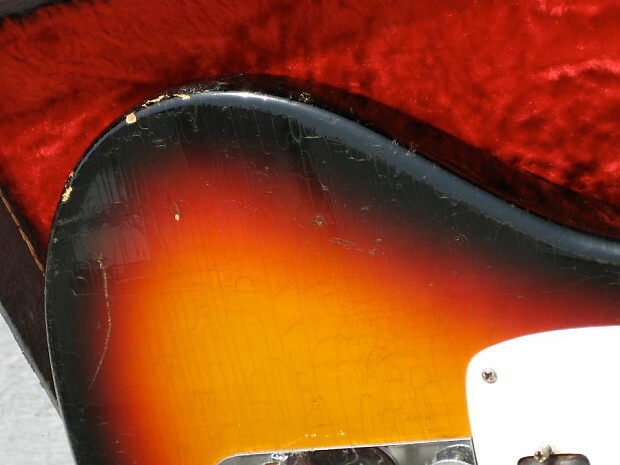 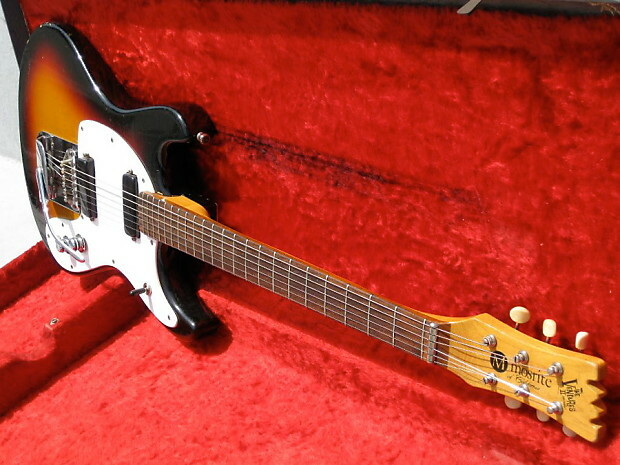 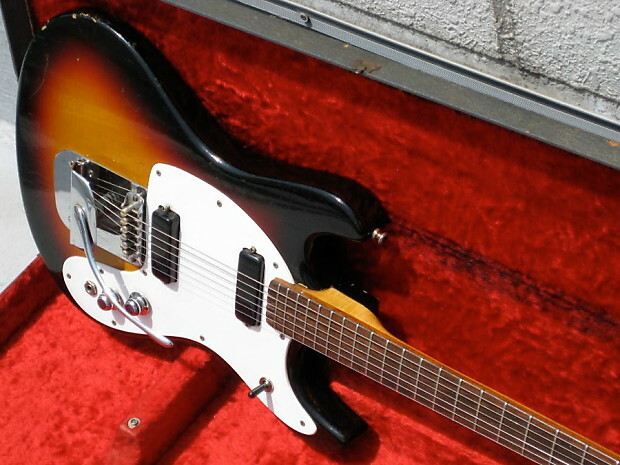 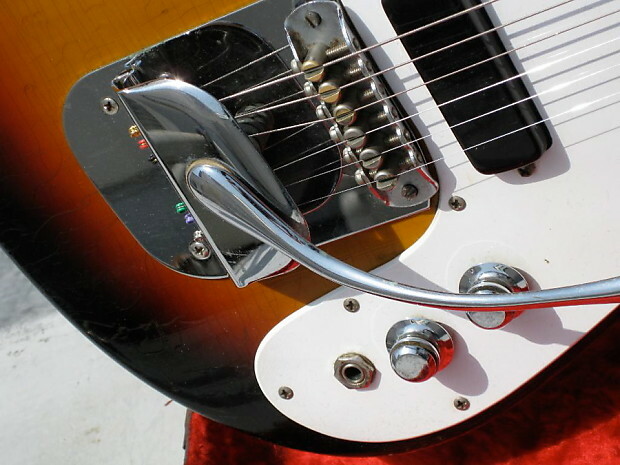 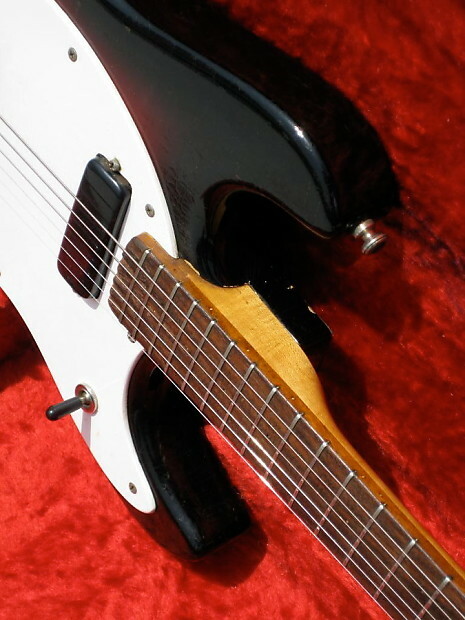 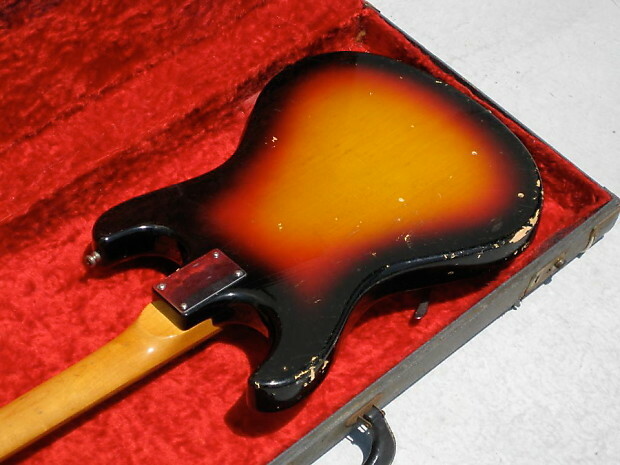 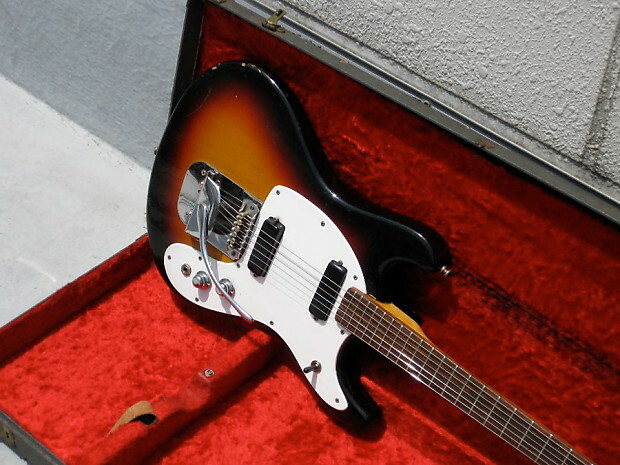 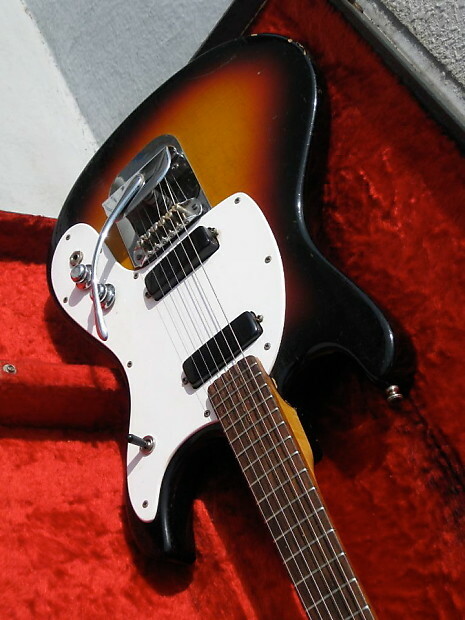 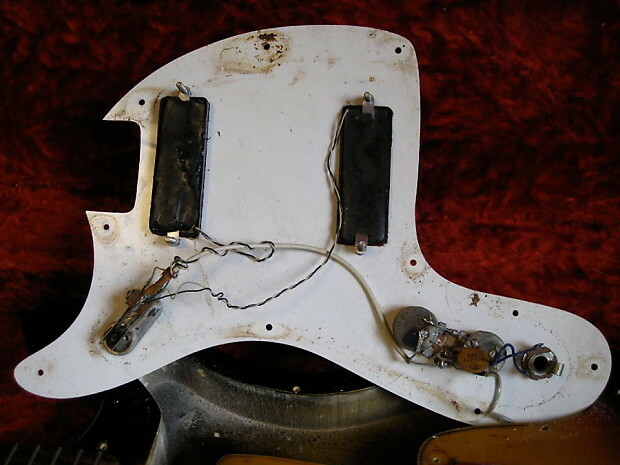 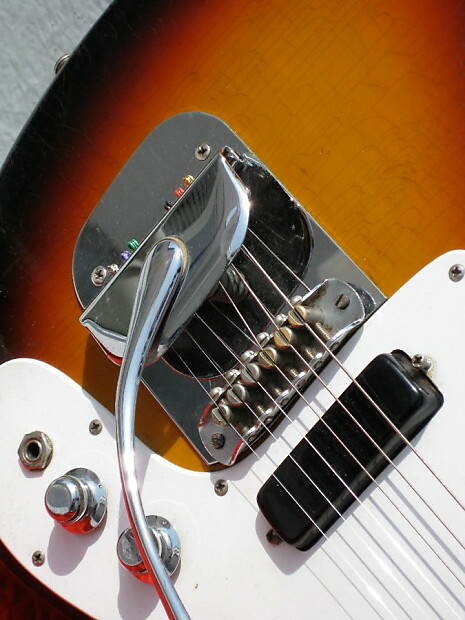 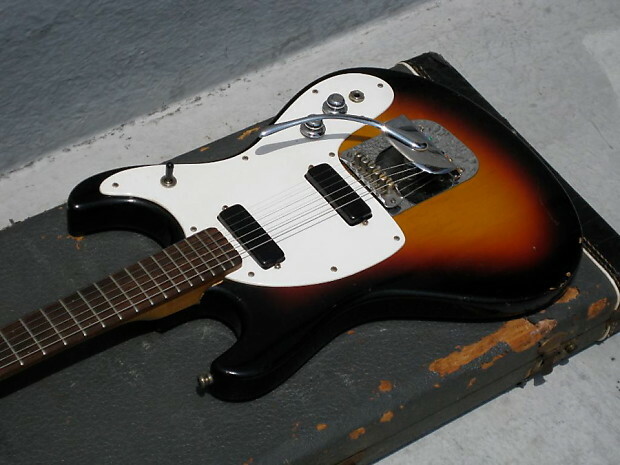 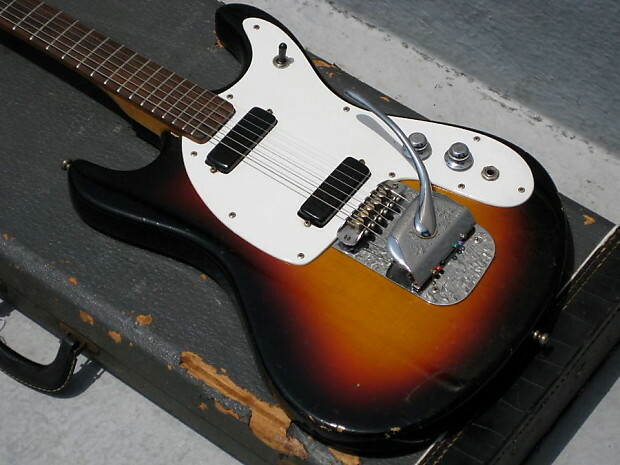 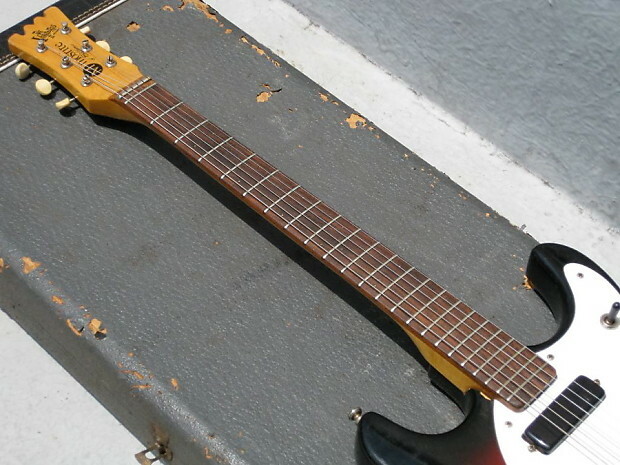 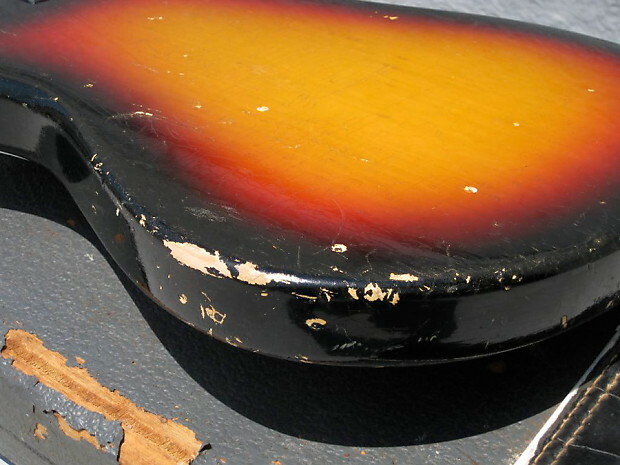 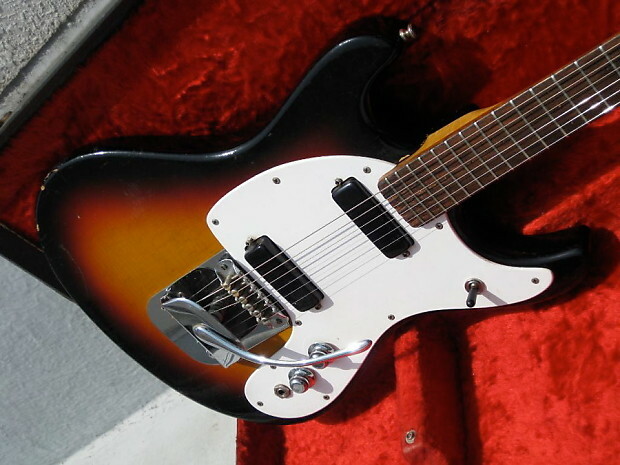 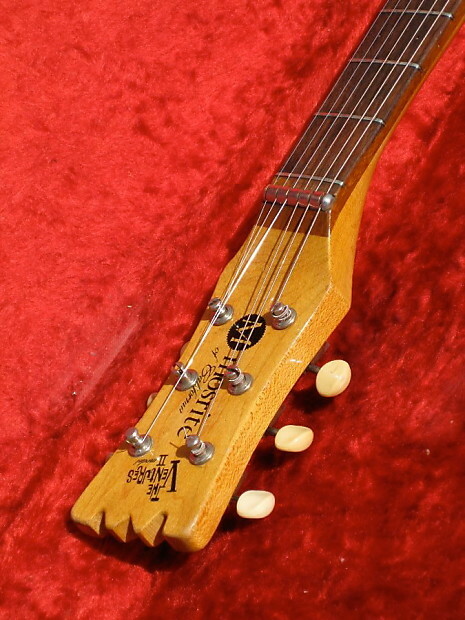 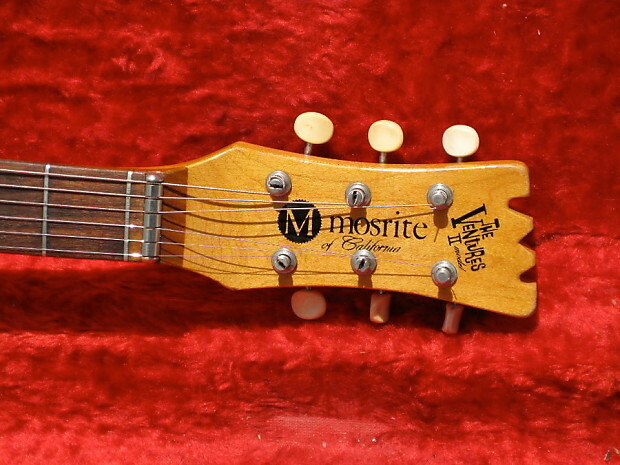 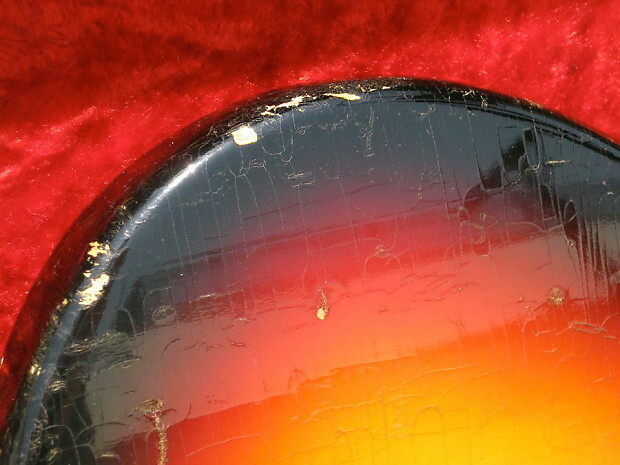 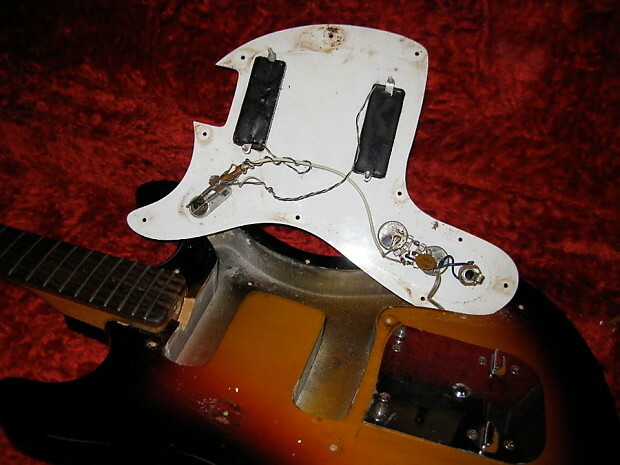 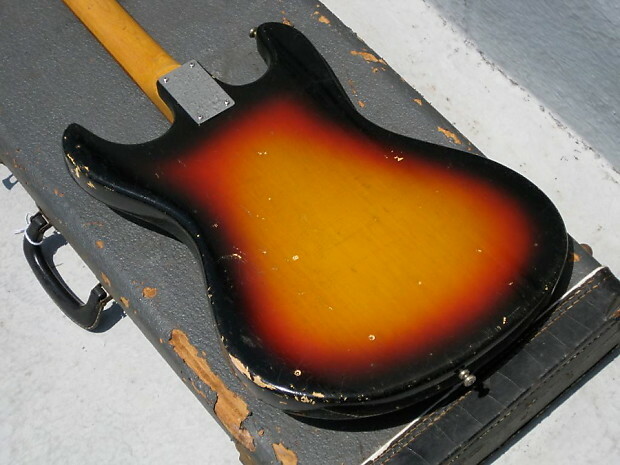 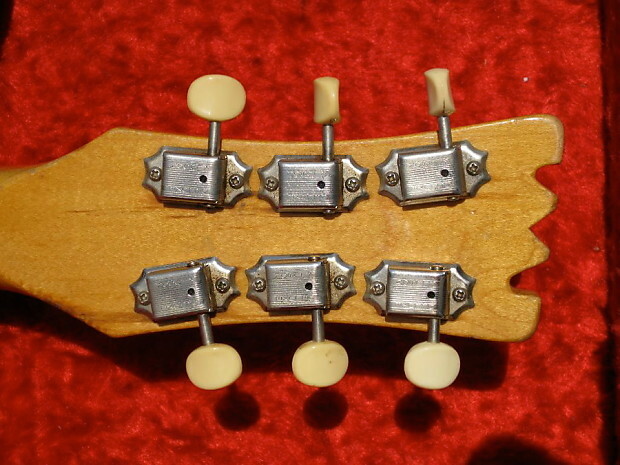 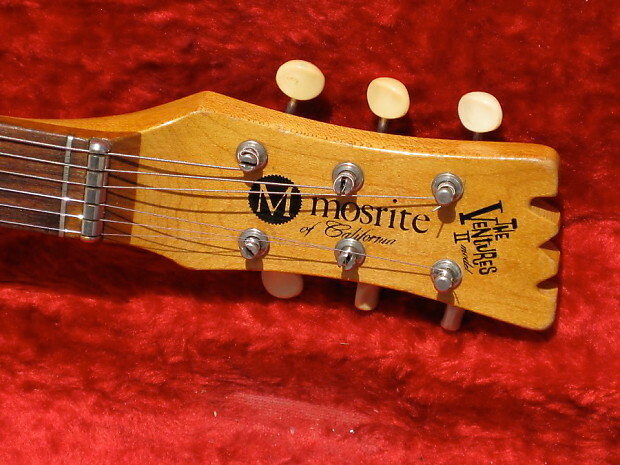 This original Mosrite Mark II would quickly be replaced with a design much more reflective of Semie’s sensibilities, including; a German-carve top, deluxe “Mosrite” stamped pickups, an advanced Vibromute-inspired tailpiece, and other Ventures-style hardware. 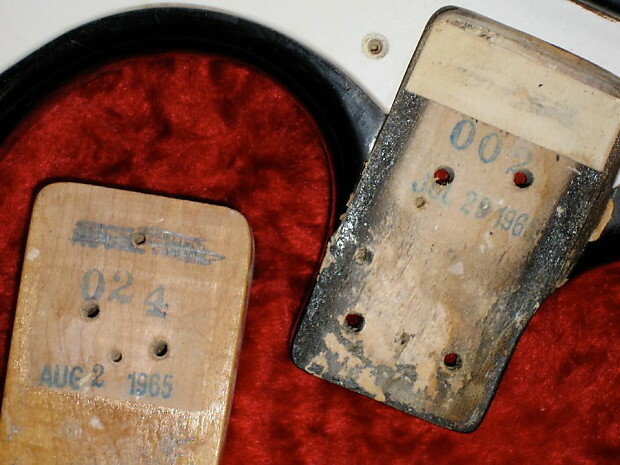 While experts estimate production to certainly be within double-digits, a more refined approximation suggests less than 50 were ever made, with only about 25 having been documented. 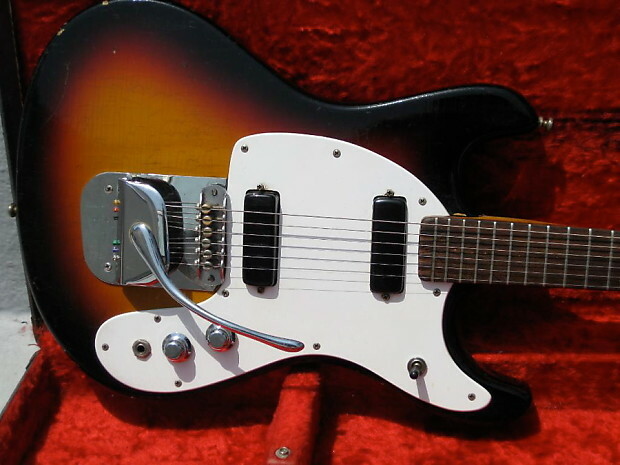 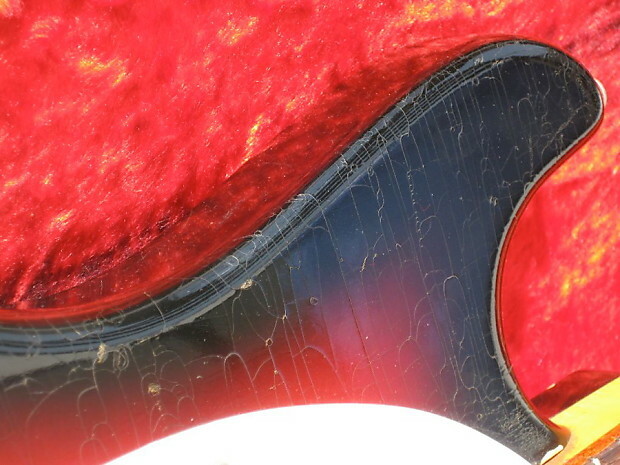 Mosrite enthusiasts and guitar experts alike will attest to the incredible improbability of finding another, so don’t miss out on this once-in-a-lifetime opportunity to purchase a veritable piece of musical instrument history. 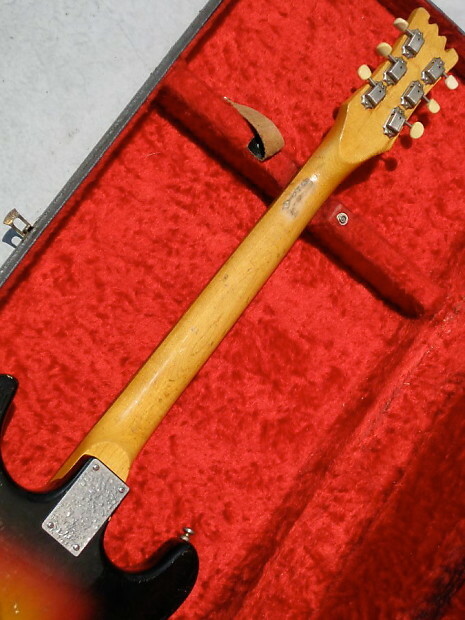 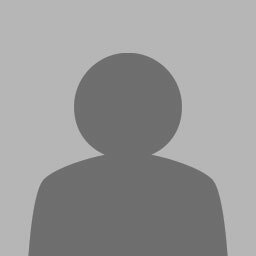 John Cummings, otherwise known as Johnny Ramone, actually owned two (?) 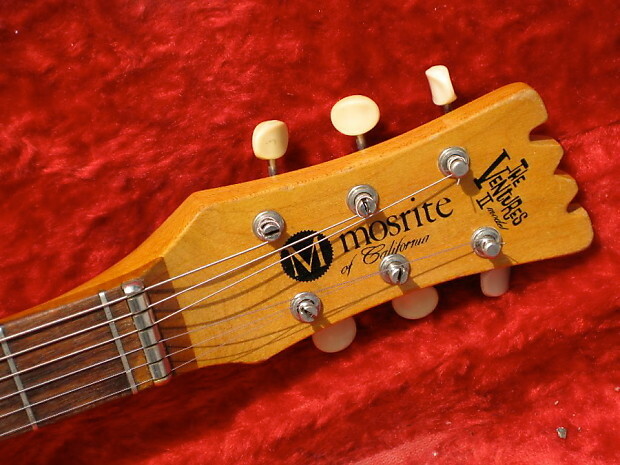 different Mosrite Model II guitars. 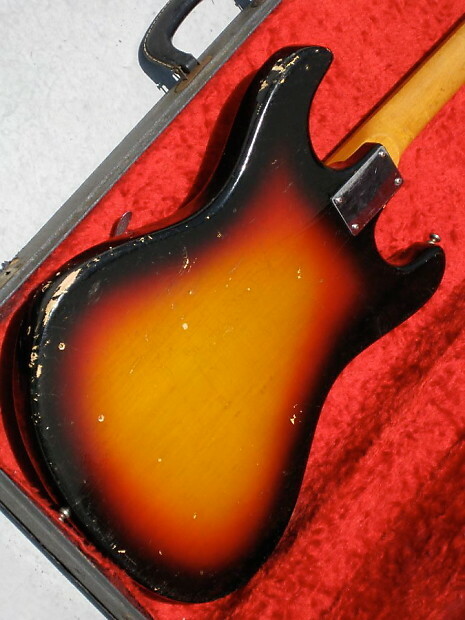 When his original MKII was stolen in 1977, he was able to purchase an additional one. 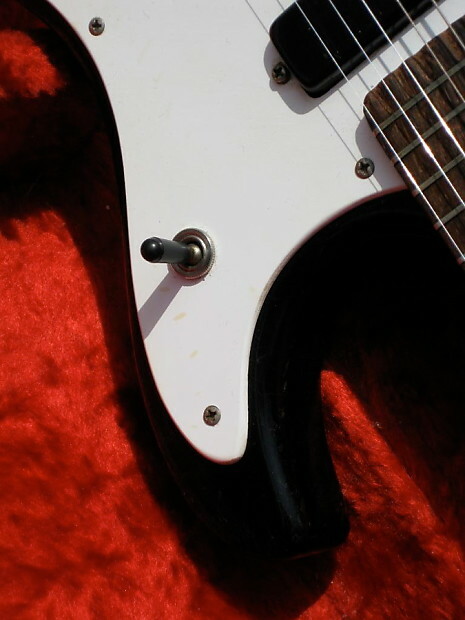 Seemingly inseparable from his Model II, this little known model quickly became both an iconic punk symbol and an integral component of his identity. 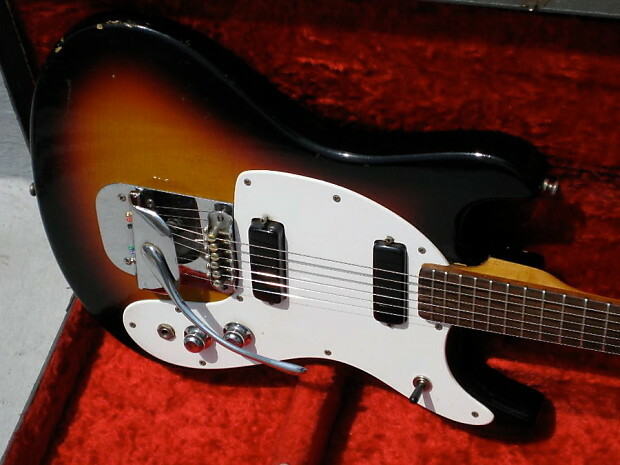 Rarely has a guitarist been associated with a single model throughout the entirety of their respective career, yet, Johnny Ramone committed to playing only this guitar. 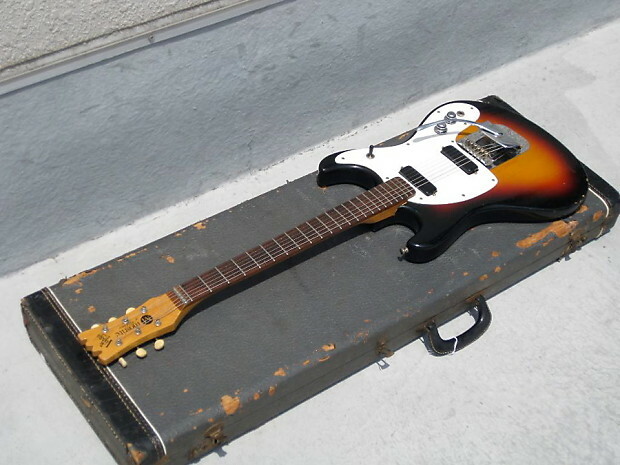 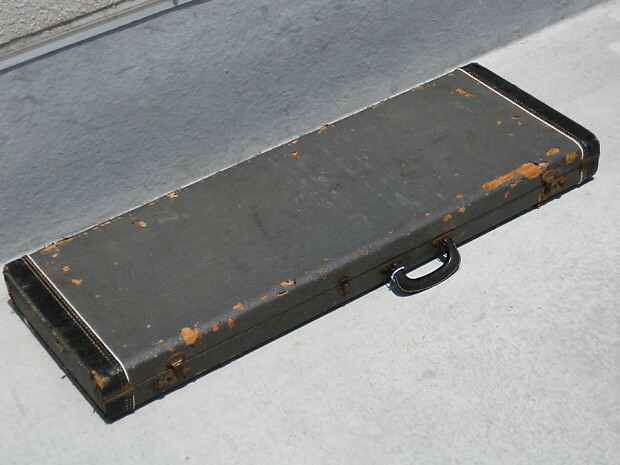 In life as in death, Ramone’s likeness was inextricably paired with his beloved Model II for his final resting place, represented on a tombstone in the Hollywood Forever Cemetery.